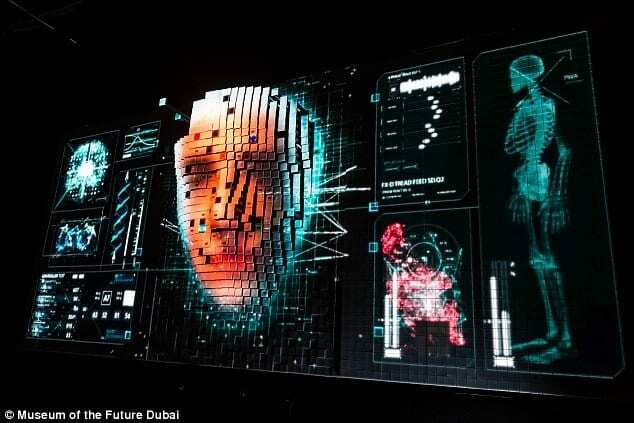 According to the Museum of the Future and part of the World Government Summit-Dubai 2018; By 2050, Collective Artificial Intelligence consciousness HIBA will be a human epidemic wiping out the need for speech and communication.”I am made of you”, HIBA making a statement regarding how it will fuse with the human brain in the future; enabling us to communicate via thought exchange. The exhibit showcased a room dedicated to explain how this technology will be able to create Art with and without humans. In like manner today, artificial neural networks (ANN) are forming the basis for machine learning. ANN are computing systems designed to replicate biological neural networks, in order to create Artificial Intelligence with performance capabilities more powerful than that of humans. Frankly speaking, this will not be an “hasta la vista” article discussing how or if robots will be taking over the future. It will be more specific, as I will be discussing how, or just for optimism’s sake “if”, robots and AI are going to take over the future of Art. To do this properly however, we will need to get a little bit of perspective into our own industrial history. We all know that technology throughout history has always been a tool helping humans and artists advance. Prior to the first Industrial Revolution; the development of machinery allowed people to have more leisure time. Hence, more time to do Art, Music or whatever creative practice they chose to adopt. As well, inventions of oil tubes and easels were tools that advanced artists’ approach to painting; enabling them to paint outdoors. Artists such as Monet and Renoir were capable of creating spontaneous color palettes; capturing natural light which lead them into Impressionism. Parallel to this, the rise of photography liberated Art from the limitations of being a means of historical and biblical documentation; paving the way for a breakthrough into Modern Art and an outburst of further art movements, directing us to Art as we know it today. Meanwhile in the time being, advanced technology such as augmented and virtual reality are giving an experiential edge for artists to advance in their interaction with the audience. 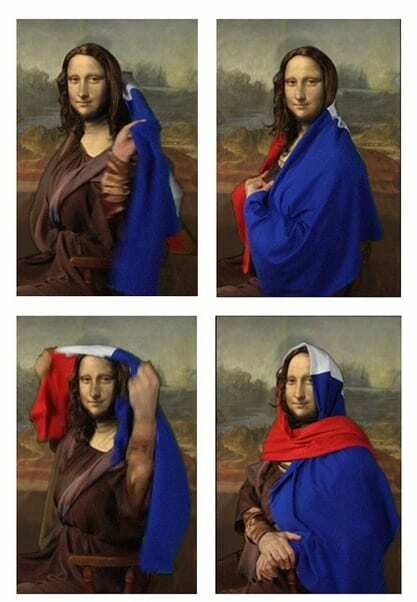 Amir Baradaran was capable of making a statement in regards to the controversy of hijab in the secular state of France via an AR of the Mona Lisa; who comes to life whilst she veils herself using a French flag. By the same token, Google has advanced artists with a virtual Tilt Brush; offering a “room-scale 3D painting virtual reality application”. On another note, classical artists who would rather stick to the traditional means can still advance using AR to exhibit their works at multiple galleries, in different locations, at the same time. Various forms of technology such as 3D printing have also become a trend for new art mediums. 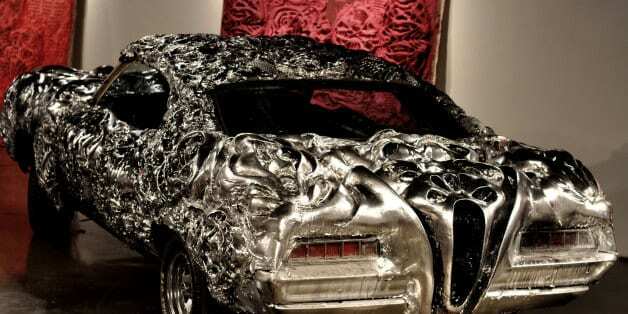 Florea, a Romanian-born artist, uses 3D printing to create sophisticated metal sculptures from printed plastic. As Florea uses technology to produce art, other artists use machines to facilitate their own art production. 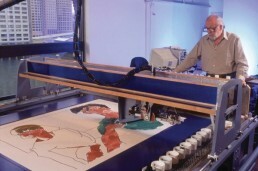 Harold Cohen, a British artist created AARON; a computer program that assists his production just like the old Renaissance and Baroque factory workshops. The program takes the role similar to that of old masters’ assistants; where highly skilled craftsmen implement the production of the works after receiving the original sketch from the artist. So far, technology has been giving a progressive advantage for artists. However, how about we chew the fat a little? Before we get down to the bone, let me give you a thumbs up; this is not a happy ending article about technology. It is a trend now for creative minds to compete in creating machine art. Actually we are living today in a world that fetishizes Artificial Intelligence. 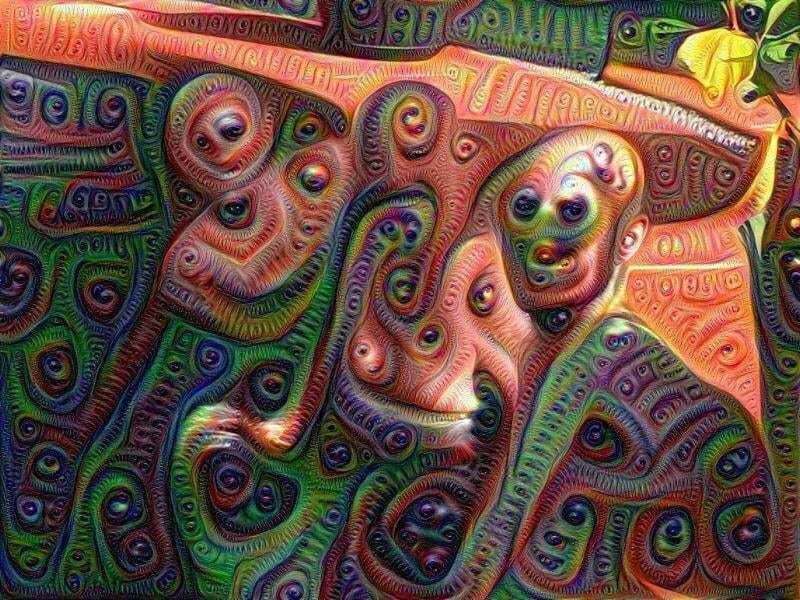 Take a look at Google Brain Team which developed DeepDream; a computer vision program that produces algorithmic paintings through a process called inceptionism. The program is designed to learn from the images and data entered in return for a production of psychedelic and surreal visuals. Is this the 21st century version of Surrealism? Well if it is to be considered so or not, that is no longer an issue in comparison to the fact that 29 paintings by Google AI have been sold at a charity auction in San Francisco. Moreover, while google is working on the convolutional neural network, Robotlab has already created The Big Picture. 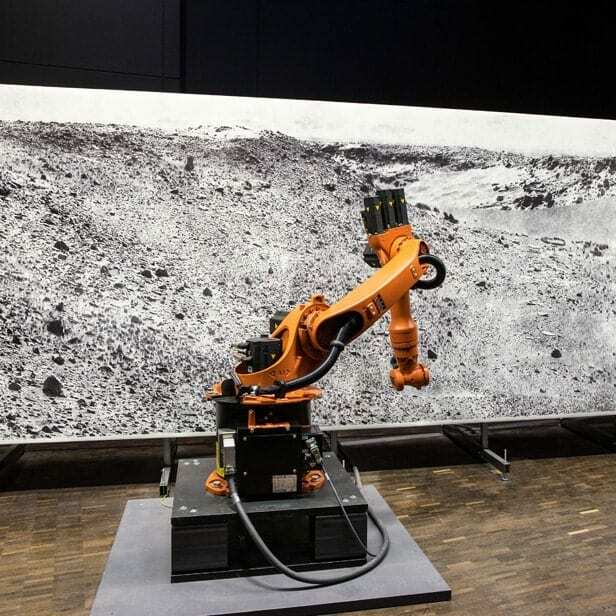 The installation consists of a robotic landscape painter which obtains data from Mars, via the Mast Camera on NASA’s Curiosity rover. The product is a photorealistic artwork drawn with “one single and continuous abstract line”. Nevertheless, if you think traditional painting had escaped this epidemic, you have not done your homework right. 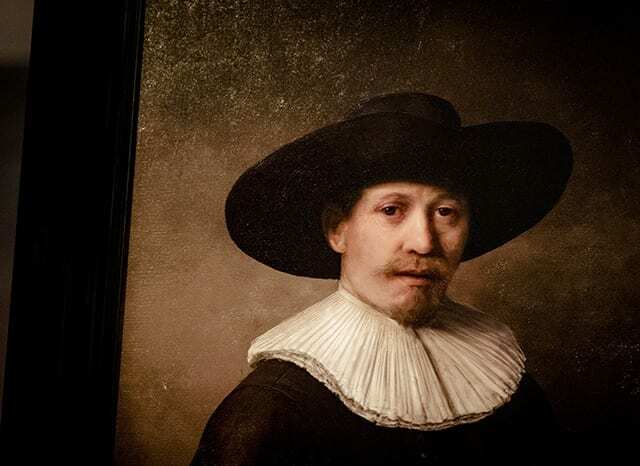 The Next Rembrandt is a Microsoft project that has produced a new Rembrandt painting via an algorithmic analysis of 346 Rembrandt works. The software system broke down the artist’s techniques, use of geometry, composition, brushstrokes and color application to produce a 21st century Rembrandt painting. Taking into consideration everything said, how about a pause for a second while we contemplate upon this question; is this what the new robotic/AI/computer art is all about? Re-creating scenes and paintings from numerous past works? Although this new technology would seem shocking for us for a certain period, yet Art has more to offer than a mere shock. As of yet, machine art is simply a tool which can only create if humans have interfered and inserted an incredible amount of data to process. Just like a vehicle’s utility which is dependent on who is behind the wheel. If we are to answer the question “can robots replace artists?” We should first highlight what constitutes Art. Though answers to such a question can be relative and debatable, yet we can all agree that the process of creating Art involves an emotional, psychological, social, political and/or a historical context; where the artist lives a certain experience to produce the work. The context consumes man while man consumes his context, this is the core of an artwork. Regardless whether a work is purely aesthetical or conceptually driven; the artist is required to react to a stimulus in all cases. Following the reaction, the artist communicates his/her experience to an audience which they will also be reflecting on; creating further annotations and meanings for the work. When you think of an artist’s mind, you think of the freely expressed emotions and irrational thoughts; spontaneity is a necessity for creativity. Creativity has always been the humans’ solace for redemption; a space to escape reality or rather contemplate an alternative one. In a robot’s case, what alternative reality is it creating, unless we will be using them as our own alternative reality someday. As well, what makes up an artist is his/her ability to question; curiosity is a trait which robots subsequently lack as they operate on a stone cold input/output system. 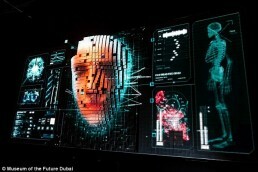 facial features, take in data and analyze it to produce a reaction, but not live the feeling. Still, this is a given for the moment, as with ANN, robots with brain mechanisms operating on neuromorphic chips will be able to mimic the human brain, enabling them to experience emotions. Despite all that, would such computer art ever be appreciated? Regrettably, the answer to this was shown on October 23-25, where Christie’s designated the first ever arrival of AI into the world of auctions. 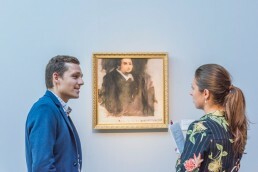 An algorithmic painting titled Portrait of Edmond Belamy was offered in the Prints & Multiples sale, and hammered off at 40 times its original estimate at $432,000. The joke nonetheless is the signature on the bottom right which is actually an equation; surely this will be highly appreciated by future robotic art critics. Considering the fact that we are entering the fourth industrial revolution, which is barely half a century away from the third; the question whether AI can be capable of human consciousness should no longer be asked. Probably the only good thing AI will leave us with is the higher appreciation for one of the most ancient jobs we have had as humans; craftsmanship. Machines in past industrial revolutions have helped people have more time for creative practice. If machines take over the creative practice, what will be left for us is an appreciation for what will soon be a scarcity. Conclusively, it is worth mentioning that a tool never dies. Whether through a brushstroke, a virtual brush or a computer; what counts is the content it carries. Yet what if the machines we are using become more than just a tool? Are we going to witness a Frankenstein version of a monster destroying its creator? Soon, scientists, engineers and programmers will have created a mind inside machines that will be working so well, it will be leaks ahead of us. At some point, metacognition will no longer be a trait exclusive for humans. In this case what is left for us will be the adaptation to such a future; where we merge with the capabilities of AI to advance with a new understanding for the role of Art. As the craftsmanship and hand made production will be dehumanized; the hand, though becoming more historically valued, will be anything but worthy of use. For the record, if you are a musician or a filmmaker, you might as well want to watch out too. As human painters are not the only endangered creative species for the moment. If you would like to ruminate over your future, do take a look at Google Magenta and the AI made film “Zone out”. Although these projects are certainly unpolished but this is just the start. Beyond recall, if at some point we become smart citizens operating in utopian smart cities, what will be left for us will be the contemplation of the gist of Artificial Intelligence; ironically the dystopia of our longing for humanity.